Rotary Screen is a labeling technique created inline on a flexographic printing press. It produces a glossy and textured effect. Below is an example that uses Rotary Screen, the Shipwreck R&D wine label created by Great Lakes Label. From a distance, it looks like an ordinary label, so let’s take a closer look. As you can see below, the tentacle details are more realistic due to the glistening look that this technique provides. It looks like the monster sprung straight out of the water. This makes an immersive and sensory experience for customers. Once a customer picks up the product to feel the texture, they are more likely to make a purchase. The tentacles are the perfect motif for this particular technique due to the wet and glossy nature of both the screen and the real-life tentacle. Watch Rotary Screen in action in the below video, Great Lakes Label’s Innovative Labeling Techniques. While pictures show you the technique, video shows you what it looks like in person. Learn more about how innovative labeling techniques, like Rotary Screen, can bring your spooky design to life! Download our e-book, The Complete Guide to Innovative Labeling Techniques. Calligraphy on labels indicates sophistication or a vintage inspiration. If done right, the style of the calligraphy can complement more casual products as well. Check out these examples of on-brand calligraphy in labeling for inspiration. This fictional label for Akvavit wine illustrates the intention to appeal to a mature crowd while also making the redesign modern and elegant. The bold and precise calligraphy title provides a sophisticated touch. With the unique die cut of the pressure sensitive label, this touch helps allow art to be rooted in traditional wine bottle design. 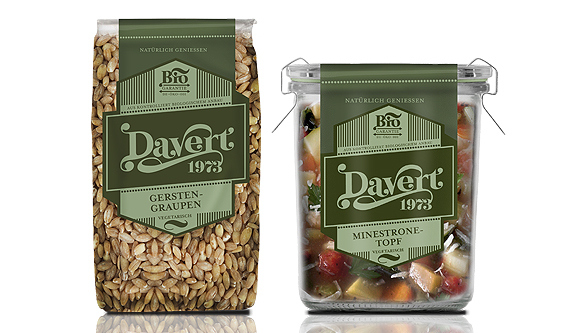 This concept design for Davert shows the brand’s tradition and authenticity without also using local cultural cues on the design. The calligraphy is simple, but retro, reminiscent of early/mid 20th-century design. This is quite fitting for this brand considering the label itself implies they have been around since 1973. 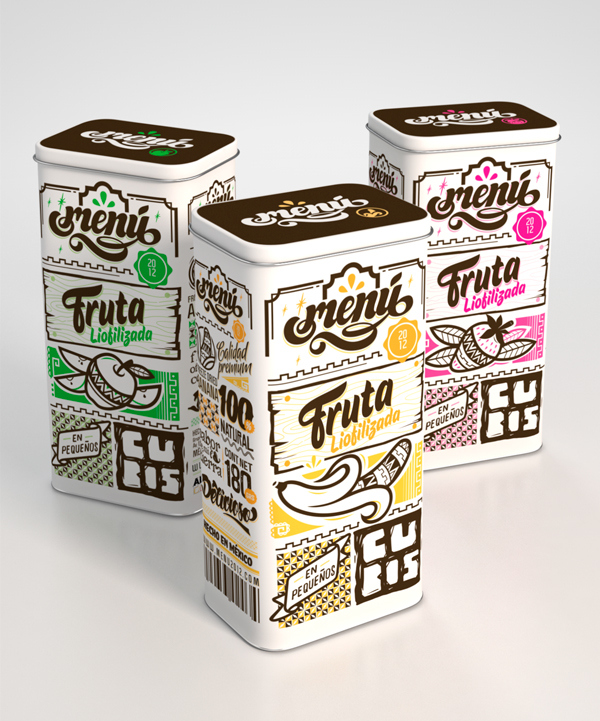 This is a fictitious brand selling fruit cubes that pack punch. As a result, this packaging implies the product does just that. So, ith bold colors and bold font, these containers are modern and eye-catching. The calligraphy on both “menu” and “fruta liofilizada,” also seemingly digitally created, and therefore, the most modern style of calligraphy shown. This keeps a sweet touch without making the art look too dated and off-brand. See our labeling techniques in person. So, request free samples to be sent straight to your door.